Working with Pro Athletes is Not Enough to Make You an Expert; Yet Another Surgery for Brandon Roy! Brandon Roy was once regarded as one of the most prolific guards in the NBA. With excellent lateral explosiveness and sleek moves to the basket, the All-Star guard was poised to go down as one of the greatest in NBA history. Just before the start of the 2011 NBA season, Brandon Roy announced his retirement from playing professional basketball. Unfortunately, Brandon Roy has been a victim of the system. The system is present in basketball, football, and baseball, and all sports at the professional and youth levels. The system is a part of a culture that we have seen all to often shorten or ruin the careers of some of sports greatest athletes. Many athletes go on to to achieve success in spite of this system and culture. The system and culture I am referring to is related to the treatment and care of athletes, and most importantly in Brandon’s case, care of sports or athletic injuries. In the world of sports, injured athletes are viewed as unable to help the team and often times a distraction. Many coaches, knowingly and unknowingly, relegate the mental state of injured players to the bottom of the depth chart as well as their bodies once an athlete is injured. Some athletes are so dedicated to their return that they will push themselves hard to get back on the court or the field even when their bodies show signs that they are not ready. 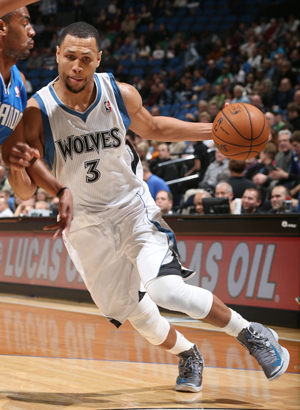 Brandon Roy is one of those athletes who will do whatever it takes to get back on the court. Some successful athletes seek advice outside of their immediate medical team. After seven surgical procedures, Brandon Roy did just that and all I can say is… Good for Brandon! Public perception is that if a medical group, team of doctors, physical therapists, athletic trainer works with a professional sports team they must be the best. If a pro team trust multimillion dollar athletes with a medical expert, the average person believes that medical group must be good enough for them. Unfortunately, that’s just not true. In today’s world, some professional teams hire based on cost. Others hire or obtain a team based upon a close personal relationship. The buddy system is always at play especially in America. At that point I set out to work on relationships and building a reputation of doing quality work. My efforts lead to friendships with numerous professional athletes including Charles Barkley, Michael Jordan and many others. i worked hard to open the doors to numerous opportunities in professional sports. I’ve been blessed to have been able to work with some of the greatest athletes in the world. But that alone does not make even me anymore of an expert than the recent college graduate. What makes any person better in their field and in life is their experiences and how they learn from them. Working with some of the greatest athletes in the world in multiple sports has forced me to think outside of the box and evaluate each athlete and their goals or conditions on an individual basis, regardless of whether or not they played the same sport or suffered the same injuries as others with who I had worked. All too often that happens today, especially in professional sports. After all, just take a simple look at how often coaches are recycled from team to team. NBA coaches move from one team to another. When a head coach gets a new job, he brings in his entire staff of good friends, brothers, and associates whom they trust. A coach can bring in their entire system to their new team. Assistant coaches, strength coaches, even athletic trainers sometimes change jobs based on the buddy system Once in the system, the less effective at their jobs begin to work the system to ensure their longetivity in the event the coach who brought them in moves on. If a staff has been there for a while even through poor job performance something else is keeping them on staff. Most of the time, that something is relationships. The bad news is for the new team is that If a coach’s entire system didn’t work in one program, its not likely to work in another The smart members of that new staff recognize the writing on the wall from the last job and start working relationships the moment they walk in the door. The culture of professional basketball is unlike any other professional sport. In football, coaches bring in experts and specialists on offense and pair them with experts on defense and other areas crucial to the entire team’s success. In basketball, an offensive guru, often gets a job and fills crucial coaching roster spots with more offensive gurus to help implement their system. Professional sports team positions are filled with coaches and administrators who were fired as a group from one place and move as a group to coach a whole new team. Coach’s mistakenly bring all the problems they had in one organization over to their new teams. Why do they do this? Loyalty, comfort, and control. Professional sports are highly political and and a close fraternity. Once you are in, you could be in for life. Even if you are not the best in your field. Once you are out of the system you may be out temporarily or permanently depending upon your persistence and actual value to a team or player. You can be kicked out of the fraternity sometimes based on the simple fact that you challenged the system, even if you are one of the best at what you do. This is the buddy system at its finest. Unfortunately, this buddy system isn’t just happening with coaches on the bench, it happens with experts who care for the athletes. And that is not the best way to determine the best care for multimillion dollar athletes. 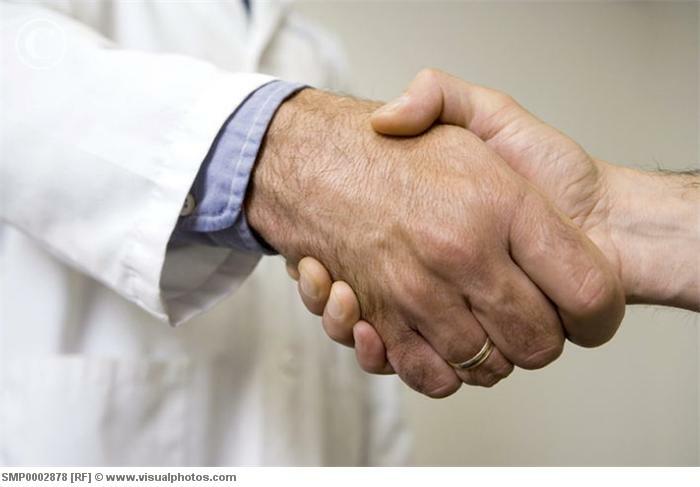 Sometimes a handshake is all it takes to become a part of any professional or collegiate sports medicine or strenght and conditioning teams. Others pay for the rights (sponsorships) or accept less pay for treating players. Any money not paid for services is made up by the publicity from the association with a professional team. It’s definitely not the best way to provide care for youth athletes. This buddy system affects youth sports too, as parents race their kids to the lines building in the offices of the team doctors for professional and collegiate sports teams in their area. Often, you hear parents boast about getting their kid in to the see the team doctor for XXXX professional or collegiate teams. Often times, they boast right after their 14 year old has completed an unnecessary surgical procedure when all they might have needed was rest and proper body development. they won’t even know this procedure was unnecessary for years to come. This trickle down affect is causing many youth athletes to now begin to suffer repeat injuries. This system is broken and won’t be fixed until athletes take control of their own medical care. An athlete with repeat injuries is often labeled negatively as injury prone or high risk. Once an athlete is labeled as have high risk of injury or injury prone, they can be blackballed or see their career placed in jeopardy as a result of what has nothing to do with them as a person. 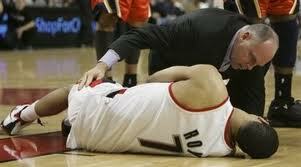 Injuries to a player like Brandon Roy are not treated them same. And this credit can be given solely to Brandon himself. He is given the benefit of the doubt and ample consideration because of his talent and excellent character. Brandon Roy is a great person. As a result of his character and personality, people root for him. I root for Brandon Roy, Greg Oden, Derrick Rose, and even Kobe Bryant (I’m a Bull’s fan remember) especially when it comes to their health. Every player deserve a better healthcare system. A system where they can have open access to the best health care available and believe or not, they currently do not. Some programs obviously get better care than others as they hire medical staffs that are on the cutting edge or at least open minded. Brandon Roy deserves a chance to get healthy and stay healthy. Less than a year ago, Brandon Roy was headed for retirement and probably a career in coaching basketball. After what I am sure was careful consideration and weighing his options, Brandon took the steps he believed necessary to get back on the court. It is reported that Brandon underwent PRP (platelet rich plasma) injections similar to those reportedly undergone by Kobe Bryant, Greg Oden and others in an effort to help aid in the recovery and repair of damaged or deficient tissue. I can imagine Brandon felt great in the days and weeks following the procedure. As a result of how good he felt and a testament to his own personal work ethic, Brandon Roy was able to return to the NBA after many had given his career up for dead. Brandon Roy proved many doubters wrong. I for one was excited about his comeback. After all, one of my earlier writings predicted that Brandon Roy could and would play again! Unfortunately for Brandon, his road to recovery is not quite complete. I was not surprised when I awoke on November 19 to reports that Brandon Roy would undergo an arthroscopic procedure on his knee. 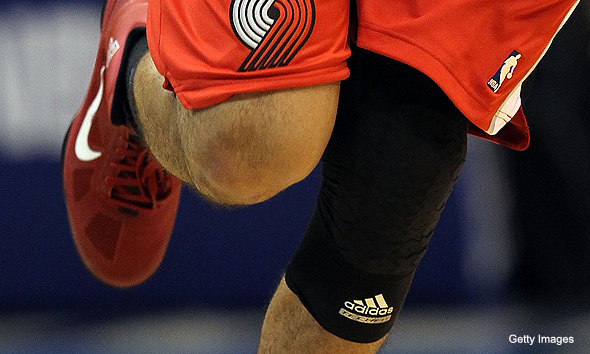 After seven procedures on his left knee, this surgery was to Brandon’s right knee. This is concerning to me and should be to his medical team in Minnesota as Brandon has now started to experience “compensatory pain and injury to what has previously been a healthy body part. (Remember Greg Oden in 2008/2009: Oden Rupture Patella Tendon in healthy left knee as a result of compensating for multiple previous surgeries on his right knee. Oden first began to experience signs of patella tendonitis in the left knee months prior to the left knee injury. In my opinion, someone addressed the patella tendonitis as a symptom, not a compensation injury). A compensation injury occurs when either consciously or subconsciously a person unloads a previously injured area to avoid pain, discomfort, or re-injury. Typically, an athlete who suffers an injury to the left knee shifts that stress to the other leg. (This involves repeated injuries in the case of Brandon Roy) Think about this, when an injury occurs the first response from the brain is to protect the area from further pain or injury. This can be notice by the athele who injures one leg and hops off the field or court on the other leg. The athlete is so focused on being in control of their body and showing that they aren’t helpless that they use one leg instead of two to go from point A to point B. Crowds often applaud this effort. But in reality it can be seen as a foreshadowing of things to come. While surgery is a way doctors help repair specific damage, surgery can still be considered an intentional injury to some tissue in an effort to repair a more important injury. Immediately after surgery, an athlete is unable to utilized the newly repaired leg for some limited amount of time. What’s next for Brandon? Well unfortunately I predict another injury to Brandon’s left knee immediately following this surgery. Brandon’s healthy right knee has now forced all the stress back to his chronically injured left knee and upon return to the court if not before, Brandon will begin to experience more pain and discomfort in his left knee. If he shifts that stress immediately back to his right knee, Brandon could suffer cartilage damage, an MCL (medial collateral ligament) tear, or an ACL (anterior cruciate ligament ) tear or Patella tendon issues on the right knee. Because of Brandon’s history I would put my money on the right knee suffering a more acute injury but he may begin to experience more pain on his left knee before he even gets a chance to get back on he court. Eliminate surgery as an option unless there is structural damage. Identify the root cause of your issues and stop settling for the quick fix. Hire someone who can pay attention to detail of how you perform each exercise during rehab and strength training. I have no personal desire to hold Brandon’s hand through recovery from this or any surgery. But will readily offer my advice to him and his staff on what is contributing to his injuries. I require a lot from any athlete I work with emotionally and psychologically but most importantly, I require support from the people around the athlete. They are the ones who are with the athlete every day and should be able to see impending issues. Until Brandon stops experimenting with procedures, surgeries and other quick fixes, his injuries are destined to repeat themselves of migrate to other parts of his body. Brandon Roy can get back on the court and stay on the court but he has to select better people to help him achieve his goal. If there is one thing the last year has taught me personally, it’s that your career can be affected by the people you put around you and the decisions they make. My professional and personal life was affected by the actions of others whom I brought onto my team almost five years ago. I accept that responsibility that I allowed them to turn me into a victim. But no one can be a victim forever. Brandon Roy’s life is currently being affected by people on his team who may not have intentions of harming him but they are doing just that. Brandon has become a victim allowing just about anything that might help his injury recovery to drive his thoughts and procedures. Get to the root cause of your injuries Brandon. Take control back Brandon! It’s not easy, but I did it and so can you! 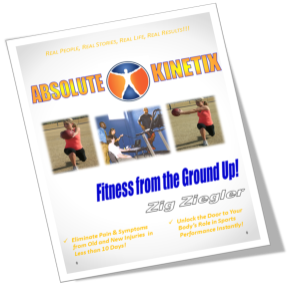 Zig Ziegler is a sports kinesiologist and professional sports consultant. To keep up with the latest from Zig Ziegler, follow Zig on twitter @zig_ziegler.